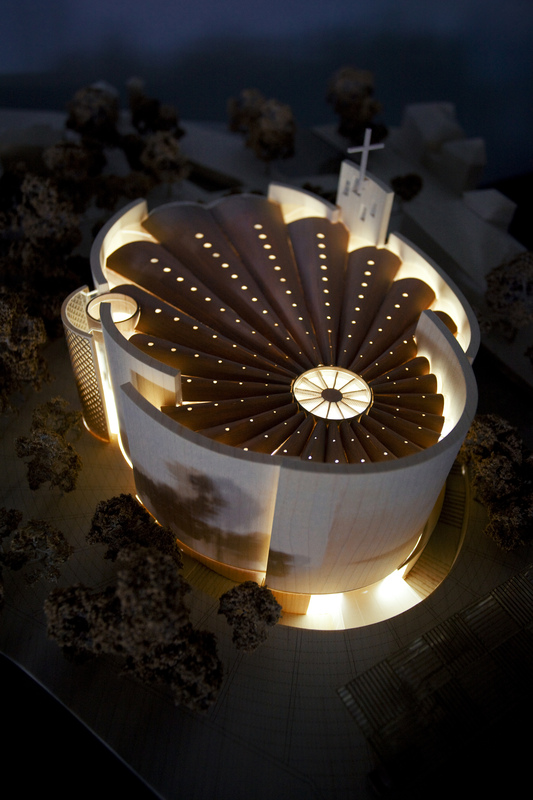 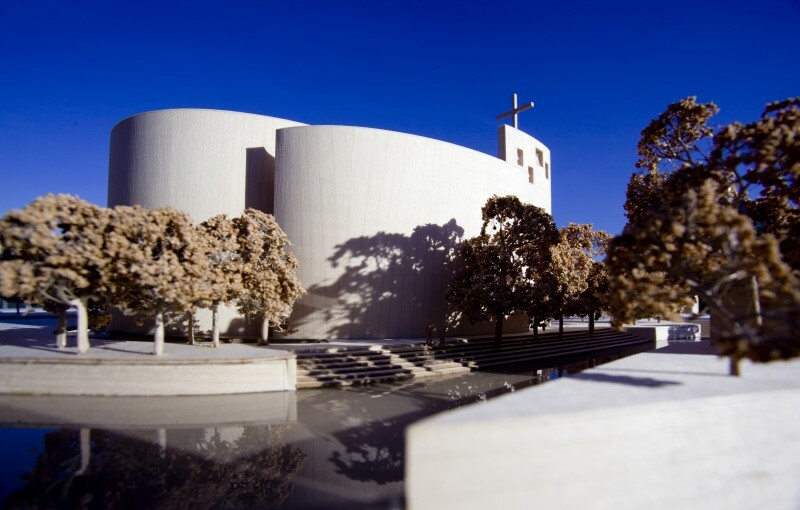 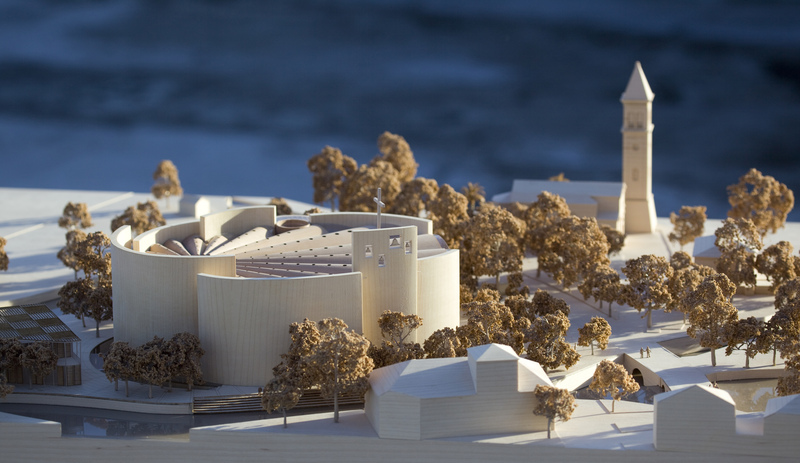 Winning competition entry for cathedral. 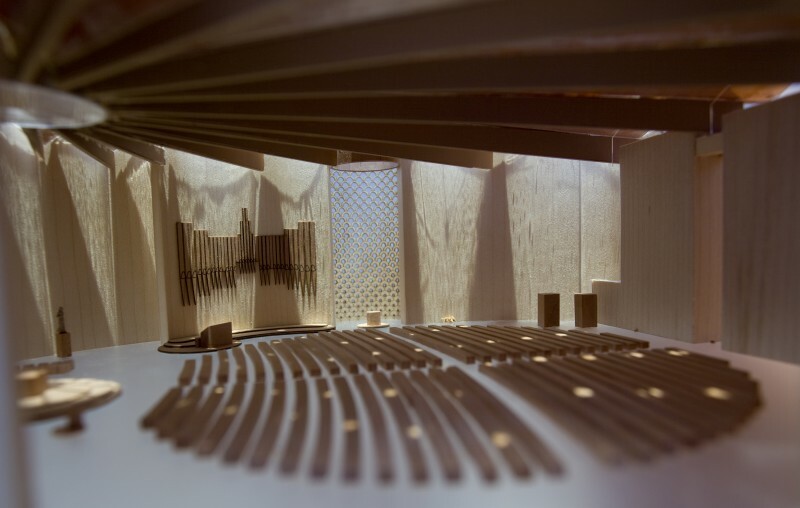 Model in maple veneer, lime blocks with pear finish to cathedral. Model lit and with internal detail.